Do you suffer from dental pain when eating your favourite ice-cream or when trying to enjoy a hot coffee? If you do you could be one of the many people with sensitive teeth. 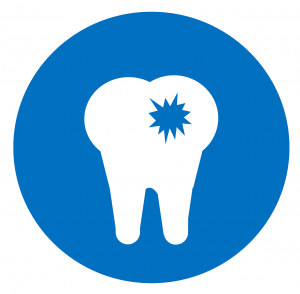 Sensitivity is a common complaint and normally is a result of the protective enamel surface of the tooth being worn and exposing the root or nerve underneath. People with sensitive teeth often experience short, sharp painful sensations in the teeth when brushing, flossing, eating hot, cold, sweet or acidic foods. The main causes of sensitive teeth are decay, fracture or chipped teeth, brushing too hard on the gum line, teeth grinding and receding gums. Is there any treatment to fix tooth sensitivity? If you are suffering pain from sensitive teeth it is important to visit your dentist as soon as possible so they diagnose the problem and outline a suitable treatment, enabling you to enjoy your favourite foods again pain free.